Central States Health & Life Co. of Omaha is a mutually owned insurance company specializing, not in health and life insurance as its name would imply, but in the debt protection and credit insurance markets. The company was founded in 1932 as Central States Health & Accident Association, and insured customers in cases of death or disability. In 1957, the company took its current name and legally changed its charter to a life, health, and accident company. Health insurance is more important these days than it’s ever been. Get your free health insurance quotes by entering your zip code today! 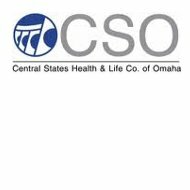 Central States Health & Life Co. of Omaha is also known as CSO. As of 2009, CSO was supporting more than 5,300 financial institutions and automobile dealerships, and processing more than 21,000 insurance policies per month. The company strives to be a leader in the debt protection market. Their website also has direct links to email forms to send if you’ve got General Agent, All Other Agents, or just General questions. Although CSO previously offered Cancer, Disability, Medicare Supplemental; Accident Only, Hospital, Long-Term Care, and Critical Care health insurance, as well as life insurance, the company has transferred these policies to Philadelphia American Insurance Company. Any questions on those policies should now be directed to Philadelphia American. Central States Health & Life Co. of Omaha offers two different product lines: Credit Insurance and Debt Cancellation. CSO’s credit insurance products exist to protect some types of loans in case of the borrower’s disability or death. Credit Life coverage pays off some or all of a loan if the covered loan borrower’s dies. The actual benefit is dependent upon the option selected. The four options for Credit Life are: Gross Pay Decreasing Life; Net Pay Decreasing Life; Truncated Net Pay Decreasing Life; and Level Life. Credit Disability takes care of a loan payment, fully or partially, if the covered borrower becomes totally disabled because of a covered illness or accident. Instead of paying the borrower directly, CSO pays benefits to the financial institution that administers the loan. Credit Disability coverage has two options: Full Term Disability or Critical Period Disability. Debt Cancellation allows a lender to modify the terms of a loan and its terms, in case certain “protected” events occur. These events would be: accidental death or disability; life coverage; disability coverage; involuntary unemployment; or unpaid family leave. The lender may choose to cancel debts on any type of loan. CSO works with the borrower to develop a debt cancellation program that addresses their needs. CSO prides itself on its challenging job opportunities and a family-friendly culture. If you’re looking for a job in the clerical, administrative, sales, management, and professional fields, then you might want to consider applying to CSO. CSO uses CareerLink to manage its online job openings. A current search finds only one job available–an accountant job at company headquarters in Nebraska. If you’re not interested in this job, but would like to send in your resume for future consideration, you can email it to [email protected]. You can also print an application off of the CSO website. Because CSO was an early participant in the workplace wellness movement, the company will not hire anybody who uses tobacco in any form. They make this contingent on state laws allowing this type of statement. Part of CSO’s employment offer is conditional upon an applicant passing a tobacco use screen. As would be expected for an insurance company that is involved in workplace wellness, Central States Health & Life Co. of Omaha has a comprehensive benefit program for employees. This includes: PPO health and dental plans; prescription drug coverage; vision care insurance; medical flexible spending accounts; dependent care flexible spending accounts; short-term and long-term disability; basic life insurance; accidental death and dismemberment coverage; and voluntary life insurance. CSO also provides a 401 (k) savings plan with employer match; paid time off; paid holidays, a bereavement program; an employee assistance program; an onsite wellness facility; and flexible work hours. The company is very supportive of their employees staying updated on career development, offering such incentives as tuition reimbursement, as well as professional and industry supported training. CSO offers bonuses for employee referrals. Still looking for health insurance coverage? Just type your zip code into the box below and get health insurance quotes that fit your needs. My dad, Robert Clarambeau, has had a policy with you for many years He has an automated deduction of $47.61 taken out of his checking account. He needs information about long-term care provided for him in his home of residence His deduction on bank invoice says Central States LTC Premium. His birthdate is Feb 20, 1926, His address is 1825 N Evans McMinnville, Or 97128. He is unable to locate his policy and we are hoping you can help us with this dilemma. I wouldn’t recommend this company to anyone, as the car dealership sold this to me, stating for anything it will pay if I become disabled at no fault of my own and is considered work related. They told me that if I had a heart condition or something to this effect that they wouldn’t recommend it since it is something that may interfere with one working, I brought up that I have a curved spine but was able to work and have been since I was 15. My husband passed away from natural causes and I filed a claim. Not only is it taking months of them dragging their feet on this on they are requesting medical history from years before he even bought the bike and bought the insurance. The insurance was required by the motorcycle dealership. If we had known that this company was so bad we would have done business with a company that was more reputable. They will look for anything to keep from paying a claim. If only there was a zero star rating. I bought a policy from CSO in early 2015. The underwriting requirements were misrepresented by the CSO agent. When I filed a claim I was put off for months while they collected medical records. The had to order some records twice as they claimed that they did not receive the first copies, one set was from a military treatment facility. After the long wait I was told that, despite my military service, deployments, secure assignments and security clearance, I was, according to the binder, guilty of fraudulent misrepresentation and, by an agent, that I was not eligible for the insurance in the first place and that they would be refunding my premium. This move saved CSO over $35,000 in payments on my claim. I bought insurance from CSO in good faith and had no reason not to believe CSO’s designated agent. I am now in a position where CSO will not honor their agent’s word and I am obviously unable to obtain disability insurance anywhere else. Furthermore, if the CSO agent had not been guilty of fraudulent misrepresentation himself I would have been able to secure disability insurance from a different, hopefully, more honest, company.